Home / Latest News / Goodbye Gordon! When Gordon arrived at the SPA in February 2014 we suspected he would have a long wait and how right we were. 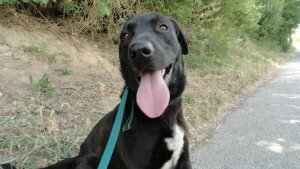 Like lots of other black Labrador crosses, prospective adopters seemed to pass by his kennel without a second glance. To people like me who love Labradors and have two lab crosses who look very similar to Gordon, this baffles us as we are very aware what superb dogs they can be. But like all young Labradors Gordon was a lively chap. 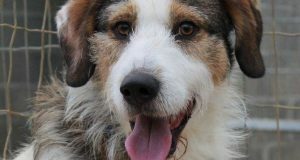 He was only eighteen months when he arrived so has spent nearly half of his life in kennels. Some of the stronger volunteers walked Gordon as he pulled at the start of a walk but he soon settled down and he did love his treats! 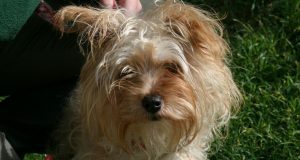 Today his wait was over and off he went with his new family. No more concrete kennel for him, instead a nice bed and lots of walks. Its been a long wait so he deserves the best! Two dogs who haven’t even made it onto the page yet were claimed and we will have photos of yesterday’s other two tomorrow. A scary facebook post today prompted me to remind you about the importance of tick prevention and checking your dogs over for ticks. The main tick borne disease of south west France is known by several names – Babesiosis, Piroplasmosis, Tick Fever. It is a life threatening disease, which can lead to complications such as kidney failure. Early signs are trembling and shivering. Depending on the severity of infection the dog will refuse food and is reluctant to leave his bed. This can happen very suddenly. If you collect a urine sample, (easier in males than females! ), you may find that it is not the normal yellow colour, but brown. Also, the gums are paler due to the breakdown of red blood cells.Those of you happy to wield a thermometer will find the temperature is often as high as 104°F or 40°C. 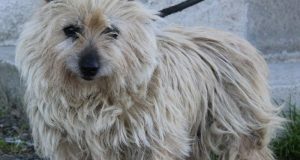 If you suspect this disease, take your dog to the vet as soon as possible. Prevention of the disease is easy.Firstly using anti tick treatments, such as Frontline, Advantix or whatever your vet recommends. These are easy to apply bur remember that they must be applied to the skin and not on the hair. There is also an anti tick collar available called Scalibor, however as it does not treat for fleas, frontline or advantix ought to be used every month in conjunction to prevent flea infestations. 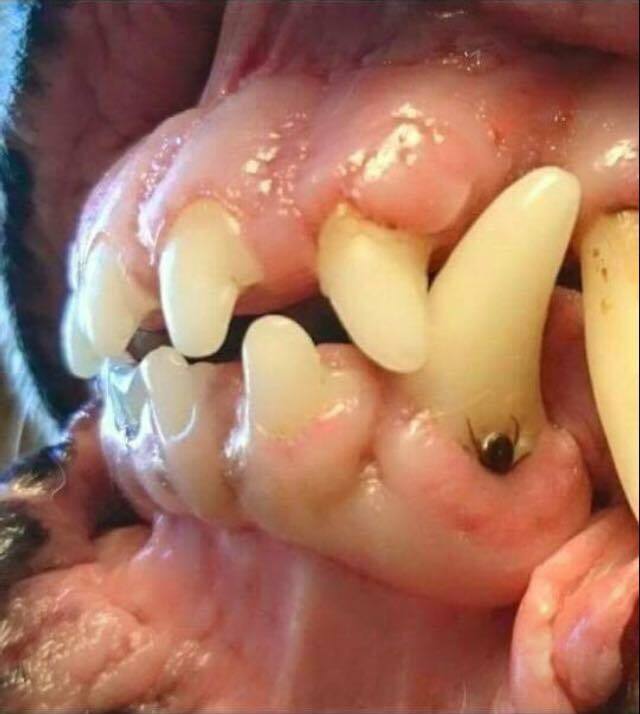 Please remember to check your dogs over daily for ticks and don’t forget to look in their mouths too!